Hello! 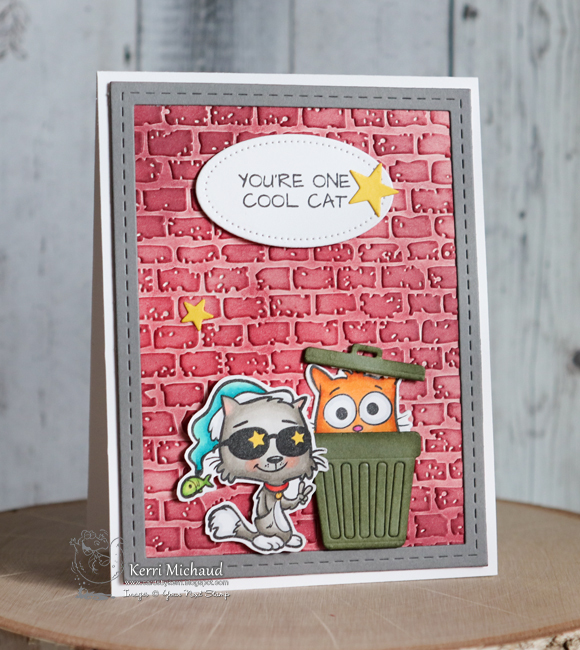 It’s time for another Your Next Stamp Fun Friday Challenge and this time we want to see your CAS Style! 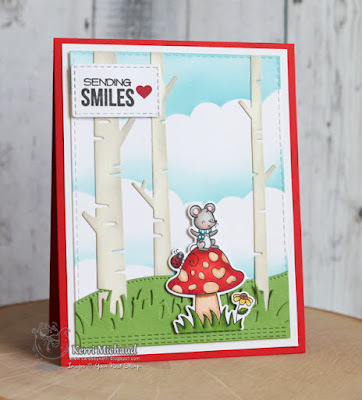 For my card I used the adorable Love and Smiles Stamp Set. I started by sponging my background with Tumbled Glass and Mowed Lawn Distress Oxide Ink. 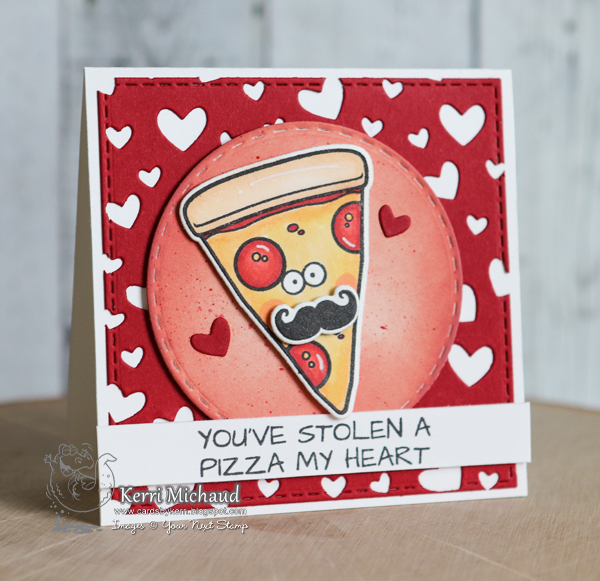 I then stamped my image with Black Olive Ink and colored with Copics. 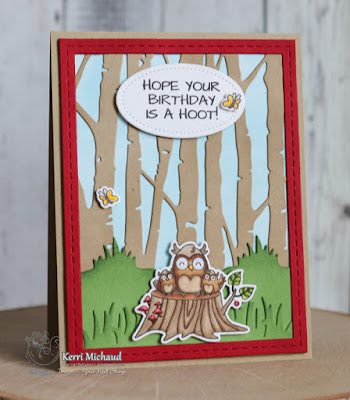 I cut it out and popped it up with foam tape over the background. For the sentiment, I used the new Fancy Wishing Word Die along with a sentiment from the Magical Wishing Wells Stamp Set. 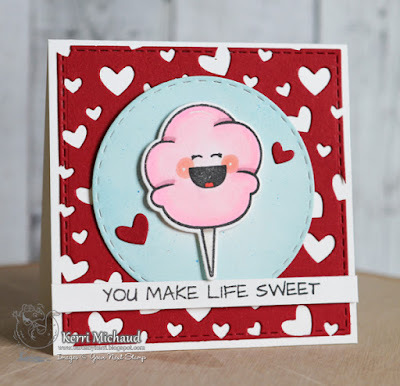 Finally, I added a couple The Perfect Blend Gumdrops and it was complete! Very simple! Hello! 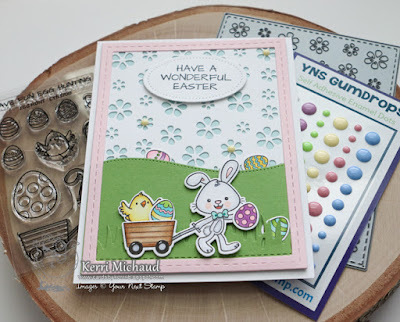 It's time for a new Fun Friday Challenge at YNS and this time we would like to see flowers! 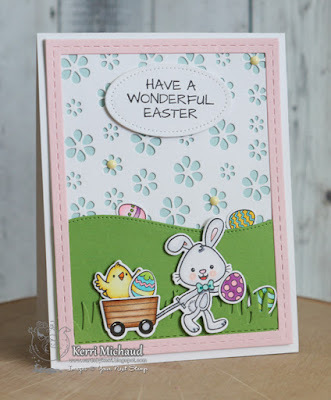 Another perfect challenge for spring! I decided to use one of the new stamp sets-Wishing Well Fairy. Isn't she so adorable?! 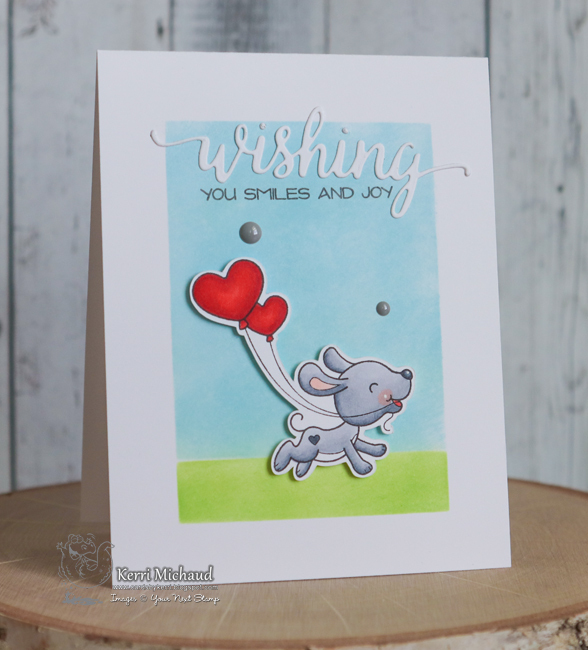 I stamped my sweet fairy with Black Olive Ink and colored with Copics. 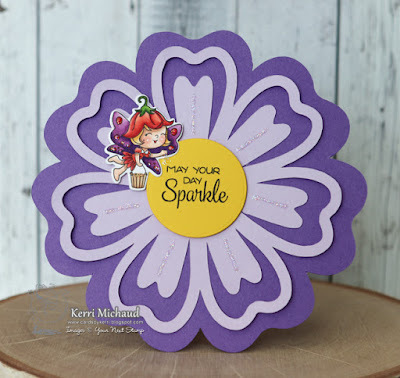 I then cut her out with the coordinating Wishing Well Fairy Die Set. 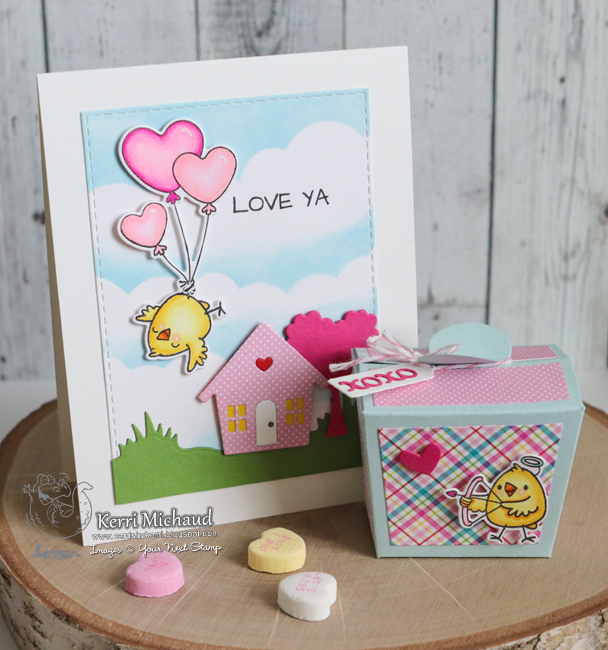 Hello and welcome to the April new release blog hop! Make sure you hop along to see all of the fabulous creations the DT came up with! 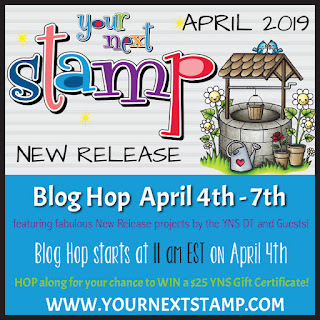 We are giving away a $25 YNS Gift Certificate to one lucky winner!!! The more blogs you hop to and comment on, the greater your chance of winning! You do not have to comment on all the blogs to win. 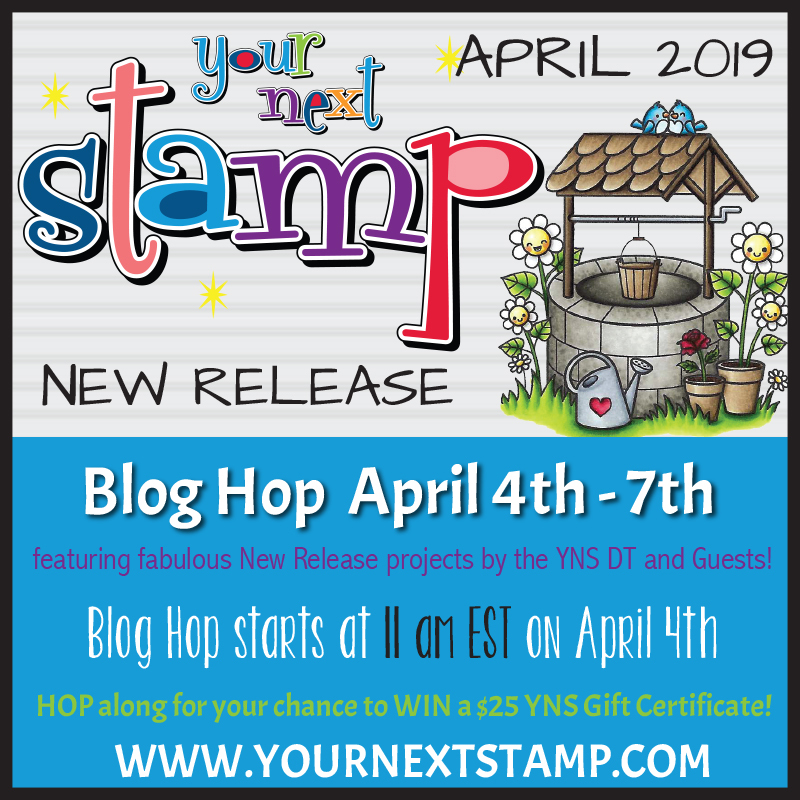 The hop ends April 7th at 12 midnight (EST) and the winner will be announced on the YNS Blog on April 9th! I used the newest addition to the photo booth line of stamps called Photo Booth Thumbs Up on my card today. 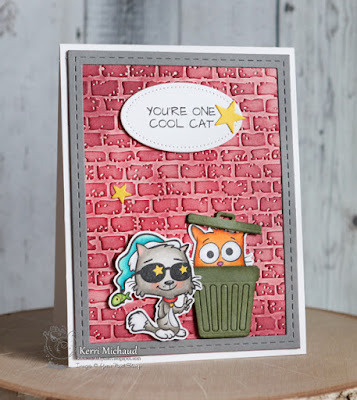 I just can't get enough of these adorable cats and dogs and their fun poses! 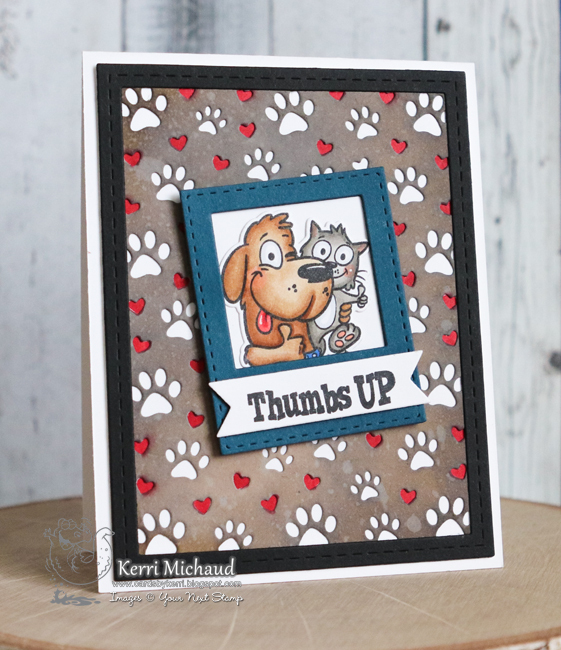 I chose the super cute Thumbs Up image and stamped it with Black Olive Ink. I colored with Copics and cut it out with the coordinating Photo Booth Thumbs Up Die Set. 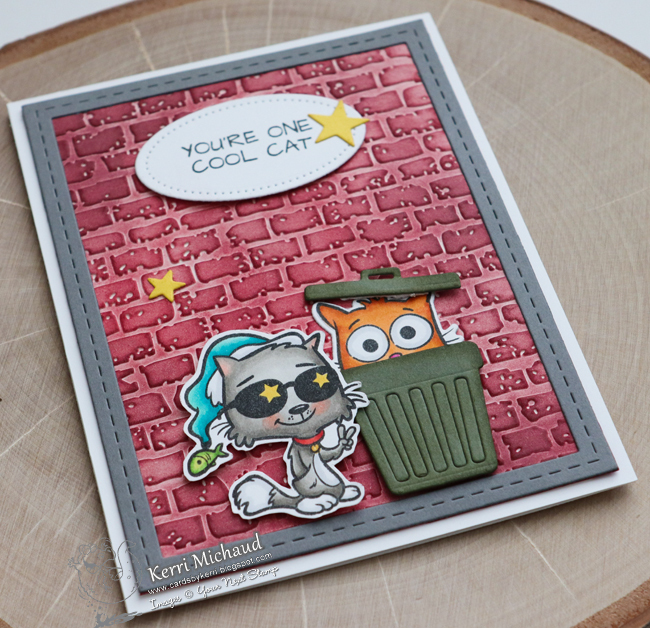 I then framed it with the Photo Booth Polaroid Die. 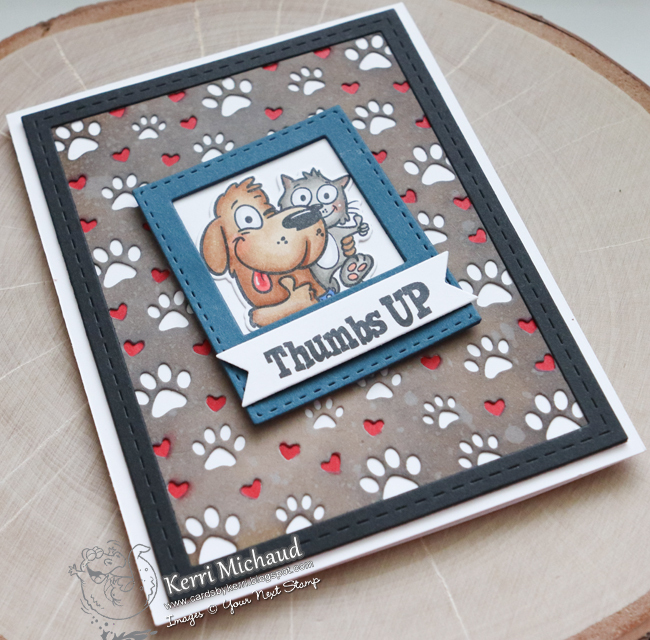 For the background, I used the new Paw Print Panel Die-so fun! I cut it out of Kraft Paper and then used various Distress Oxide Inks to sponge around it. 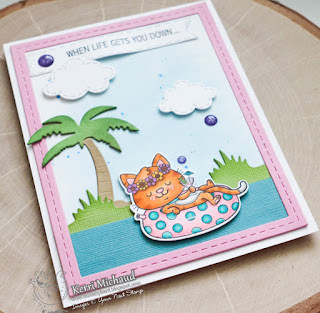 I spritzed with water and then layered over some white cs. I colored all of the hearts in with a red Copic marker and then layered my image over the top. 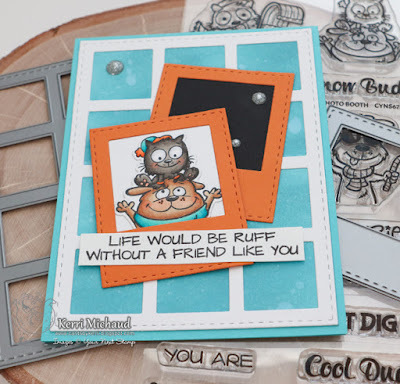 Finally I added the sentiment that I cut out with a Fishtail/Banner Die. The inside says Best Dad Ever:) Make sure you take advantage of the special new release sale-20% off your entire purchase now through April 8th at 12:00 AM EST! Your Next Stamp April Preview! Hello! 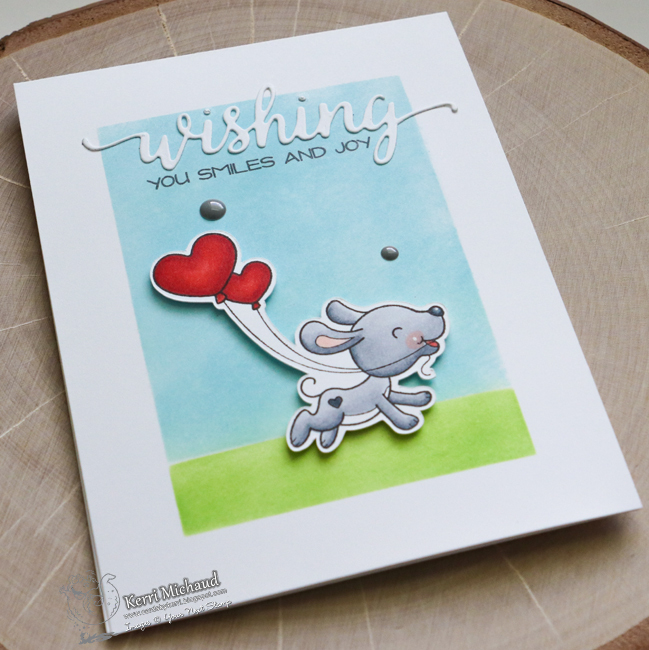 It's April Preview Day at Your Next Stamp and all of the new products will be available tomorrow, April 4th at 11 am EST! 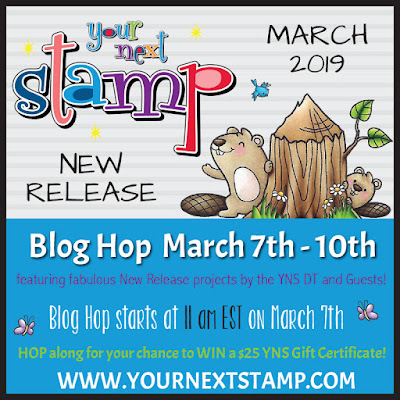 To see the full list of blogs that have a preview, head over to the YNS Blog! For my card, I used the adorable new Just Keep Floating stamp set! 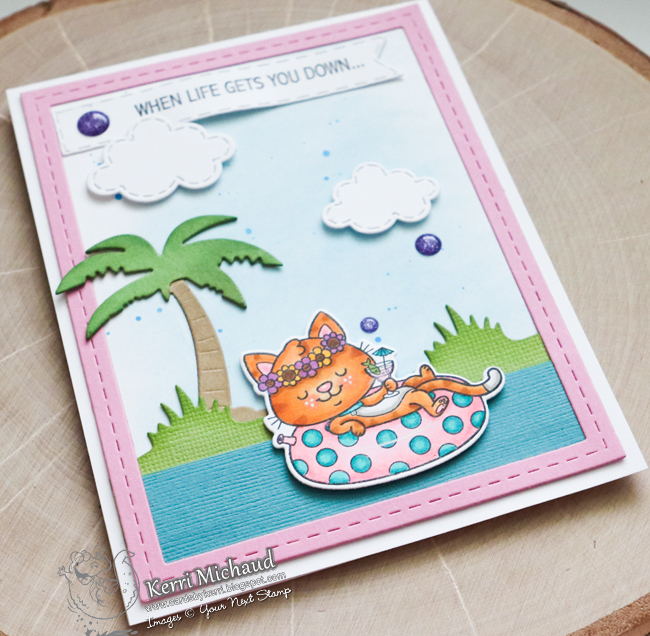 I just had to use this image because this is what I do all summer in our pool:) I even tried to recreate our backyard by adding the palm tree lol. One of the perks of living in Florida! 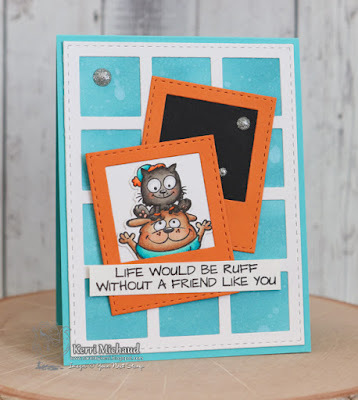 I stamped the image with Black Olive Ink, colored with Copics, and cut it out with the coordinating Just Keep Floating Die Set. 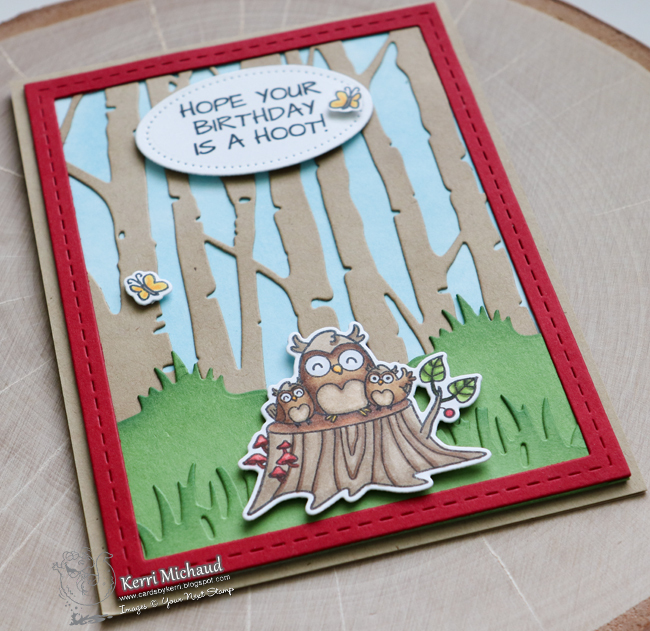 I added a strip of blue cs for the water and then added the grass using the Grass Tuft Edge Die. 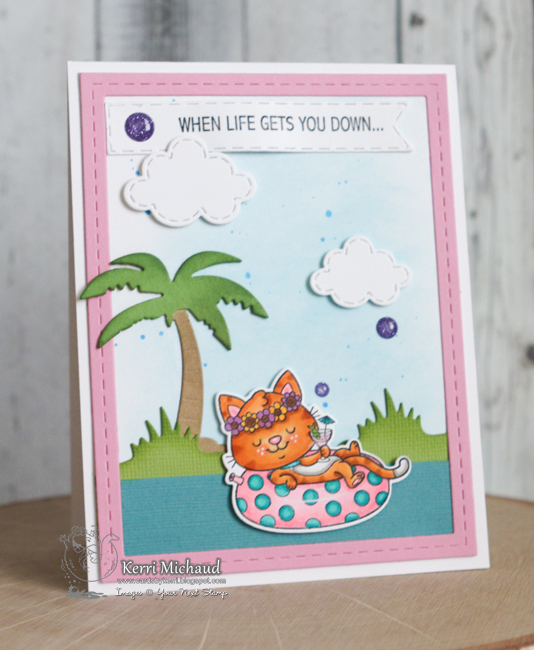 The palm tree is from the Beach Day Die Set and I used one of the new Stitched Fishtail Banner Dies for the sentiment. 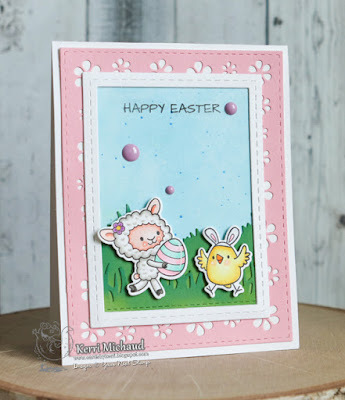 I sponged the background with Tumbled Glass Distress Oxide Ink and then used some watercolor paint to add the splatter. I added the clouds and then some of the new YNS Gumdrops and it was complete! So super cute!!! Your Next Stamp Fun Friday Challenge #110-Pastel Colors! Hello! 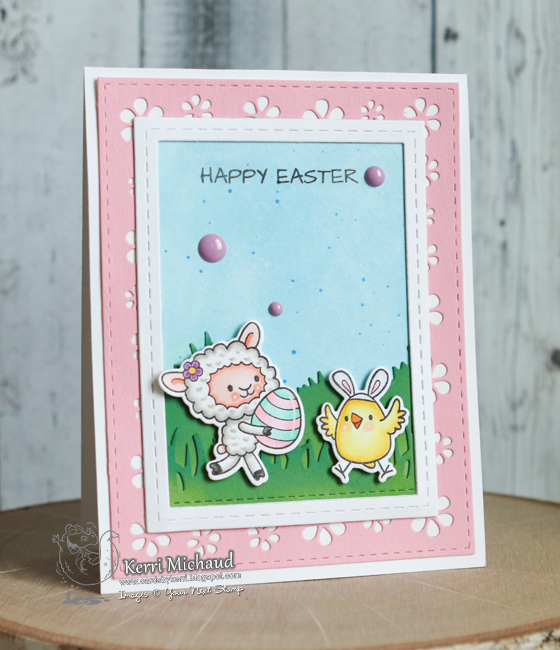 It's time for a new Fun Friday Challenge and to celebrate spring, we would like you to use Pastel Colors on your project! 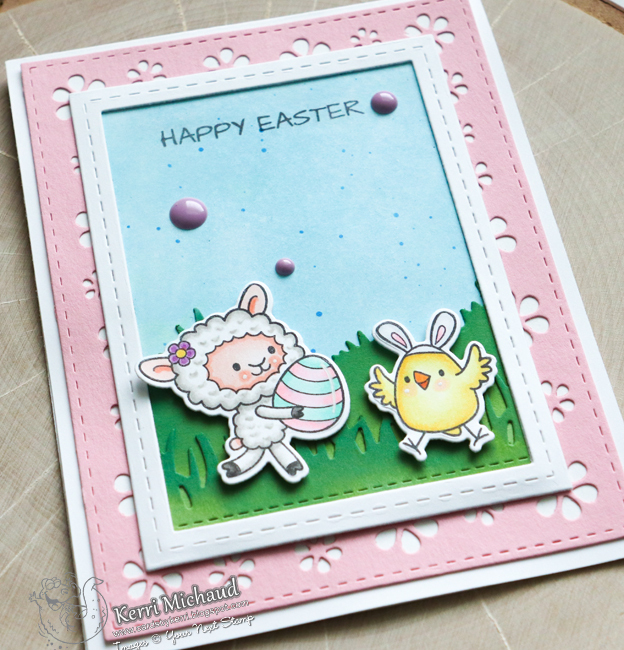 For my card I used the adorable new So Ewe-nique Stamp Set. 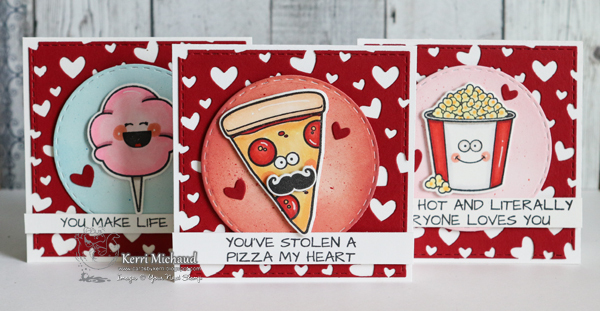 I stamped the adorable images with Black Olive Ink and colored with Copic Markers. I then cut them out with the coordinating So Ewe-nique Die Set. I used the Grass Tuft Edge Die and the Stitched Grass Die for the ground an sponged the sky with Tumbled Glass Distress Oxide Ink. For the background I used the fun new Flower Petal Panel Die and I added some Pretty Pastel Gumdrops to complete it! 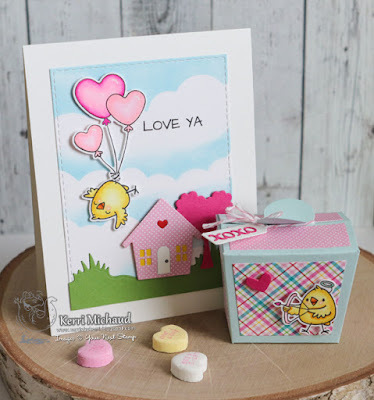 Hello and welcome to the March new release blog. 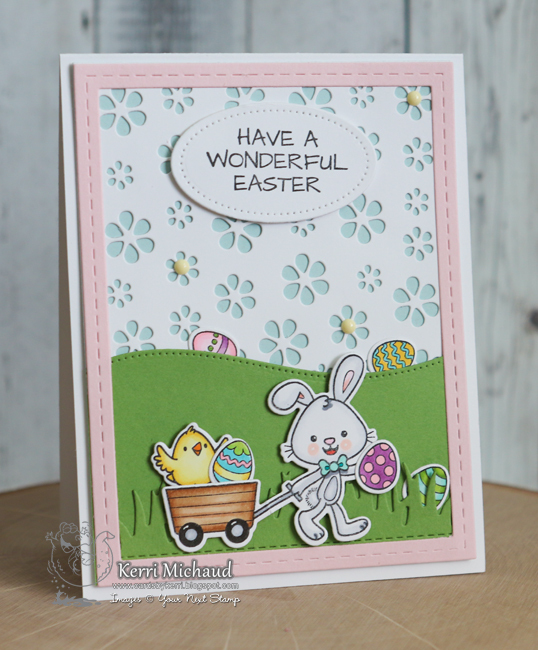 Make sure you hop along to see all the fabulous creations the DT came up with! 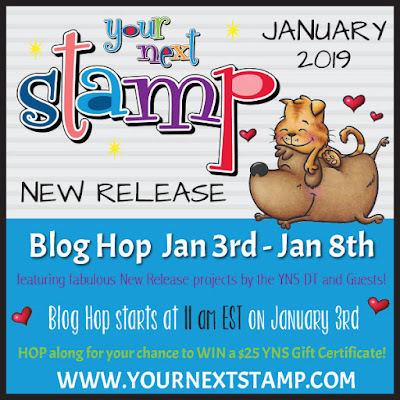 We are giving away a $25 YNS Gift Certificate to one lucky winner!!! The more blogs you hop to and comment on, the greater your chance of winning! You do not have to comment on all the blogs to win. 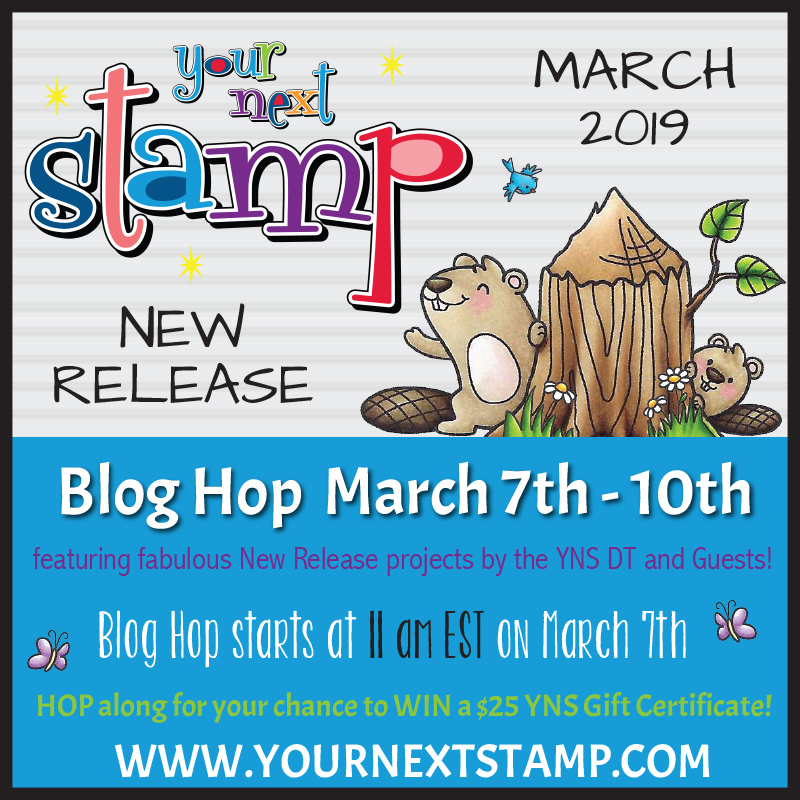 The hop ends March 10th at 12 midnight (EST) and the winner will be announced on the YNS Blog on March 12th! 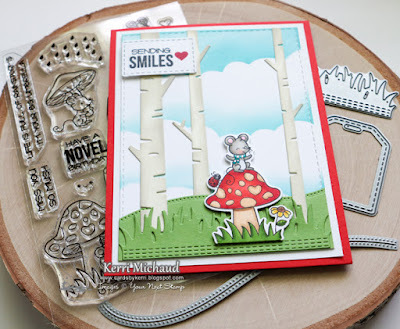 For my creation I used probably my favorite set from this release - So Mush Fun! 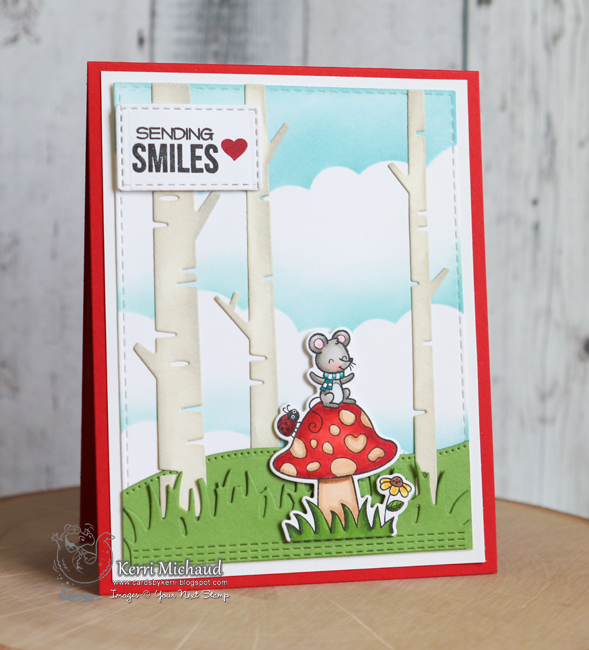 Who doesn't love adorable mice and mushrooms? 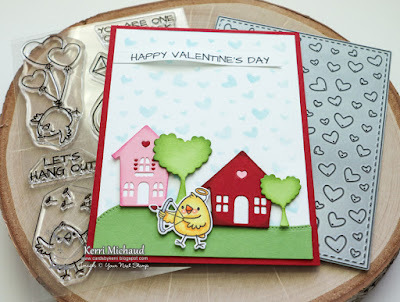 :) I stamped my darling image with Black Olive Ink and cut it out with the coordinating So Mush Fun Die Set. I then built a scene using the Stitched Grass Die and the Double Pierced Hills Die Set. The trees were cut with a Lawn Fawn die set. Finally, I stamped the sentiment and cut it out using a Cool Tag Four Die. 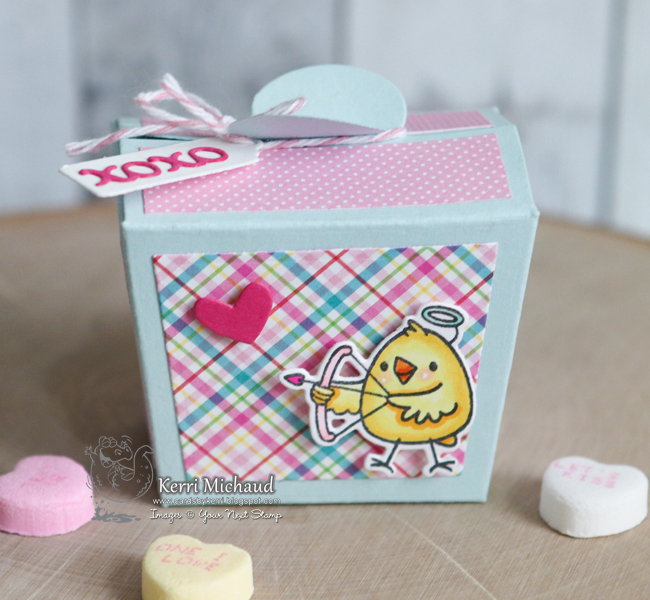 I simply used the bottom of the tag die to cut off the top if that makes sense. I just adore this sweet image!!! Make sure you take advantage of the special new release sale-20% off your entire purchase now through March 12th at 12:00 AM EST! Your Next Stamp Fun Friday Challenge #106-Colors of Winter! 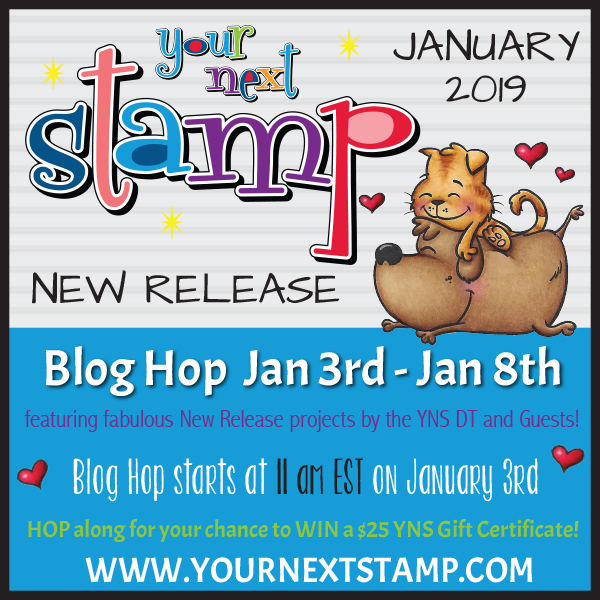 Head on over to the YNS Blog to see all of the DT feature cards, and leave a comment for your chance to win a stamp set of choice, AND you can also play along with the challenge for your chance to win a YNS Gift Certificate!!! 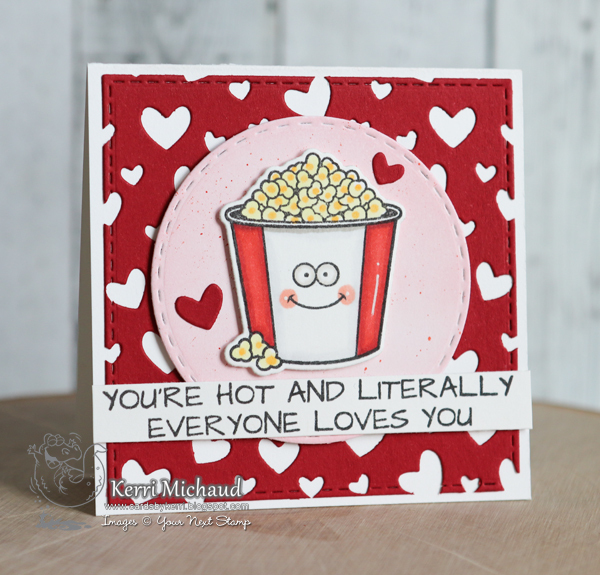 Just leave a comment by February 6th and the winner will be announced February 8th! The challenge will close on February 14th at midnight EST. 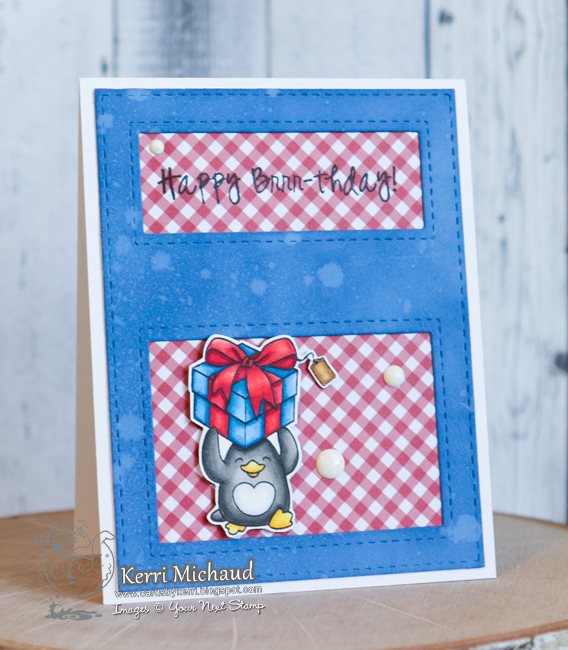 For my card I used 2 adorable sets-Flurry of Happiness and Holiday Mice. 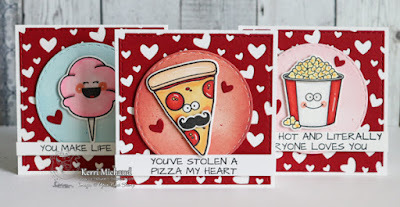 I stamped my sweet images with Black Olive Ink and colored them with Copic Markers. I then cut them out with the coordinating Flurry of Happiness and Holiday Mice Die Sets. For the background I used some Salty Ocean, Faded Jeans, and Chipped Sapphire Distress Oxide Ink to sponge my sky. 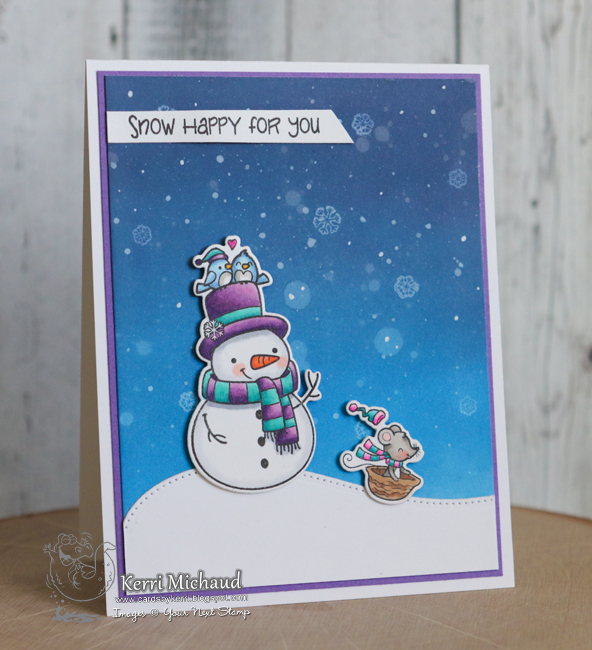 Then I used water drops, some white paint, a white gel pen, and the snowflake stamps included in the Flurry of Happiness stamp set to add the falling snow. 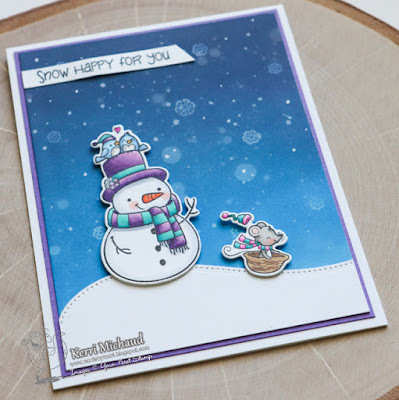 I then added the snowy hill cut with a die from the Double Pierced Hills Die Set and popped my images up with foam tape. So cute!!! Hello! 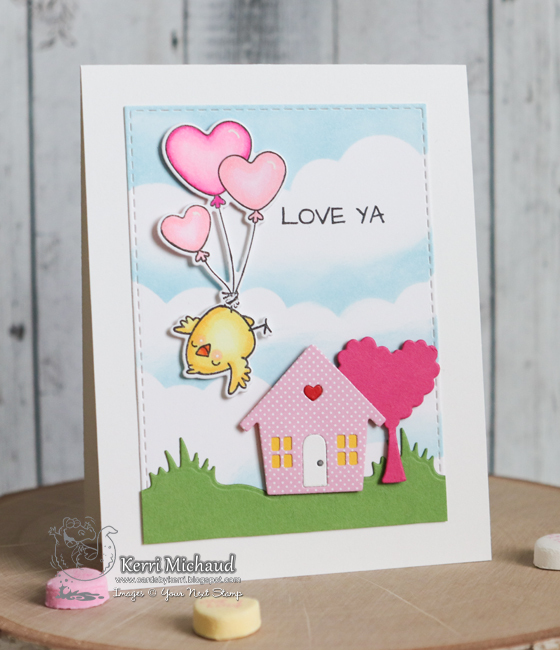 I have a fun little card to share with you today using more of the new release products from this month:) I just LOVE all the adorable new stamp sets and can't stop making things with them! 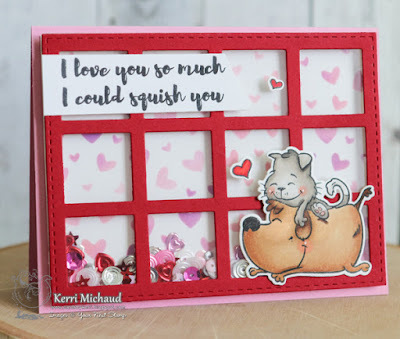 Today I chose this super cute image from the new set Love and Hugs. 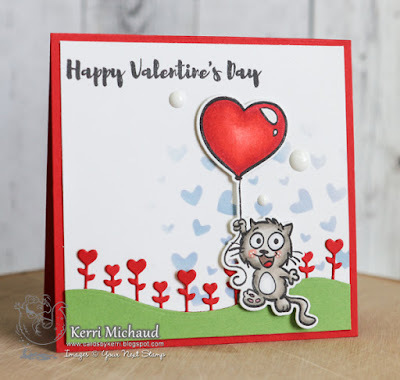 I stamped the image with Black Olive Ink and cut it out with the coordinating Love and Hugs Die Set. I once again used the Floating Heart Panel Die to cut a piece of cardstock and then used that as a stencil to sponge some hearts in the background. 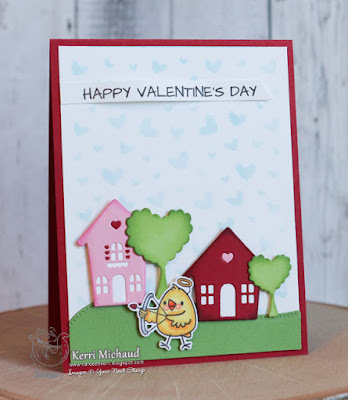 I used the super fun new Heart Flower Edge Die to cut a piece of red cs and then a piece of green cs to create my hill and flowers. I simply cut all of the "flowers" off of the green piece and then layered the green over the red. To finish it off, I added some new The Perfect Blend Gumdrops. That's it for me! Thanks for stopping by and have a great week!